I’ve been absorbed in the link between planets and the personality as of late. But I’ve been really curious about the Higher Octave and Lower Octave planets. There are 3 Octave squads; Uranus & Mercury, Venus & Neptune, and Pluto & Mars. You can find limited material that gives you a brief description of these planets, but usually the lens of focus is wider, and the descriptions are loose; seldom do you find anything that actually relates the information to personal behavior in a tangible way. I want to explore how the Higher and Lower Octave planets of Uranus and Mercury work together to impact us and our minds. First we will start with a brief definition. Lower Octave planets are the personal planets (Sun, Moon, Mercury, Mars, and Venus), and they have a concentrated intention to push you to express yourself. Higher Octave planets take the characteristic foundations of the Lower Octave planets and amplify them, and are more concerned with things related to your unconscious, so you are not fully aware of their influence. Mercury and Uranus are both brainy planets concerned with the intelligence& imagination, but Uranus is like Mercury on steroids. Mercury is a personal planet that rules things like learning, communication, and awareness itself, what we perceive and rationalize. Mercury’s influence is what drives you to speak your mind, investigate and seek answers, and it is associated with the subjective mind. The seed of curiosity begins inside Mercury, and it is what makes you interested in new subjects and come up with ideas. Mercury, much like Gemini, is superficial; the attention span can be quick-dissolving, because this planet is injected with heavy doses of interest, so it’s difficult for Mercury-dominant people, or those with heavy Gemini in their chart to finish anything they start. Uranus is an outer planet, one of the trans-personal planets, so it transcends direct association with your consciousness. It is concerned with the higher, objective mind, and rules things like inventions, revolutions, and expanded perception. But unlike the shallowness of Mercury, Uranus has a mania that can cause fixation on a particular idea, notion, or belief, and deeper need to understand reasoning behind and inside it, so that it can shatter, and ultimately reform it. 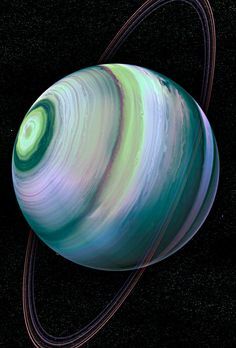 Uranus thrives on the plane where abstract ideas bloom, which is part of the reason it is the planet associated with genius and insanity. These cerebral spheres rule 2 of the zodiac’s 3 air signs, Gemini and Aquarius. And you can see the same qualities of the planets in these signs; the curiosity, eccentricity, and link to the logical mind. But one aspect of these planets curiously overlooked is their connection to the imagination. Aristotle distinguished the imagination from the perceptive mind, because he believed them to be distinct capacities. But I think these planets have a great influence over our imaginative minds because of their relationship to the intellect. Mercury is our Messenger, and messages can come in many forms. 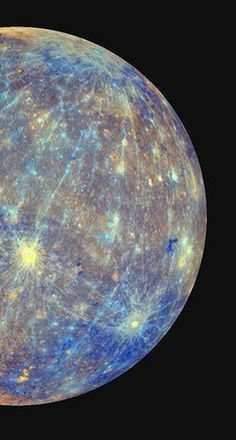 And indeed, Mercury can communicate through several different mediums like writing, speaking, painting, music, math, etc. Uranus speaks primarily through images and visions that ricochet through your head, and attempts to find his voice through Mercury. Think about it for a second; Mercury is like basic, elementary math – addition, subtraction, multiplication, division, etc., and Uranus is the college level math subjects like trigonometry, calculus, and linear algebra. You learn the basic equations through Mercury, which you need in order to grasp the concepts of the more advanced Uranus. Both of these planets are responsible for unpredictable moments of insight, but only through Mercury’s fundamentals of communication and instruction is Uranus allowed full expression. This can cause some major disturbances in your mind, because the images that come flooding in when Uranus opens your head up to the sky are trying to come out, without an immediate form of expression. But I don’t think Uranus’ ideas just fall out of nowhere. Because the planet rules part of the unconscious, his divine abstractions come from a database of imagination buried deep inside your brain, you’re just totally unaware of it. So, you see, you need Mercury’s lower octave perception and lucid intellect in order to access and comprehend Uranus’ high revelations. It’s imperative for the two planets to work together to supply you with a constructive imagination, otherwise you’d be a daydreaming mute. When there is tension between Mercury and Uranus, it is extremely challenging to unite the higher, theoretical mind with the rational, subjective mind. It’s like God is trying to speak to you in English, and you’re only fluent in French. And your genius imagination keeps reverberating off your gray matter until you go nuts. In terms of the personality, if you are Uranus-dominant and/or Mercury-dominant, you will definitely be highly curious and concerned with the matters of the mind, but you need to look to these planets’ house positions to indicate the areas where your imagination finds optimal expression. Mercury helps us to learn and make connections so that Uranus is given room to take knowledge and envision it into something extraordinary. As Einstein put it, the combination of the higher octave and lower octave, the intellect and the imagination is “a sudden rapture”. Astrology fiend and aficionado, hell-bent on translating the Zodiac into a lucid language that every sign can speak. I write about the Planets, Signs, and Houses, and their role in your life, offering new and different approaches to looking at Astrology and the Zodiac.